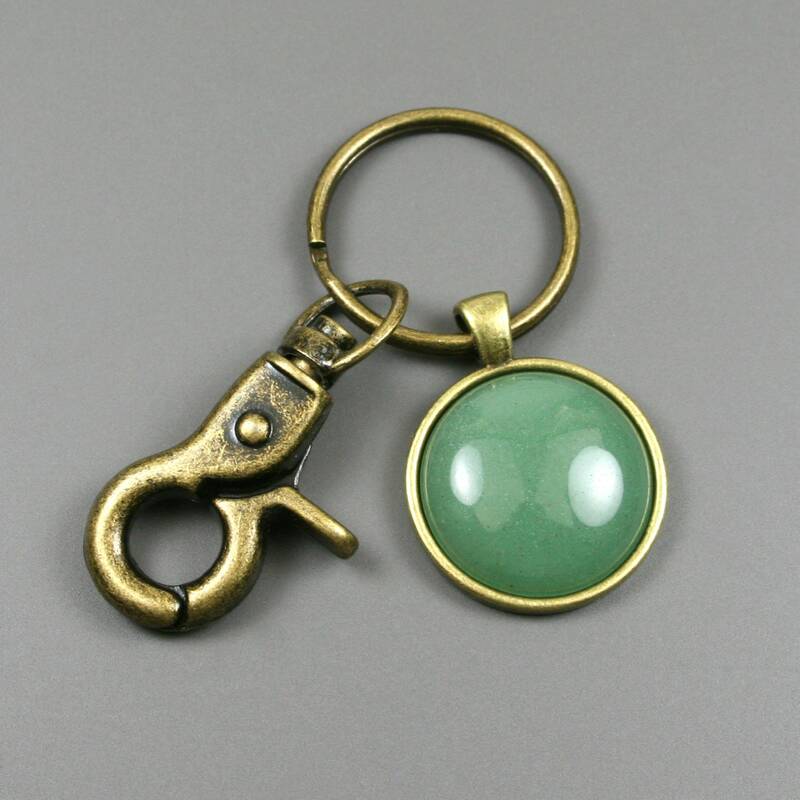 This key chain is made from a 25 mm round green aventurine stone cabochon that has been set in a 25 mm round antiqued brass bezel setting and attached to an antiqued brass metal key ring with a swiveling lobster claw attachment. 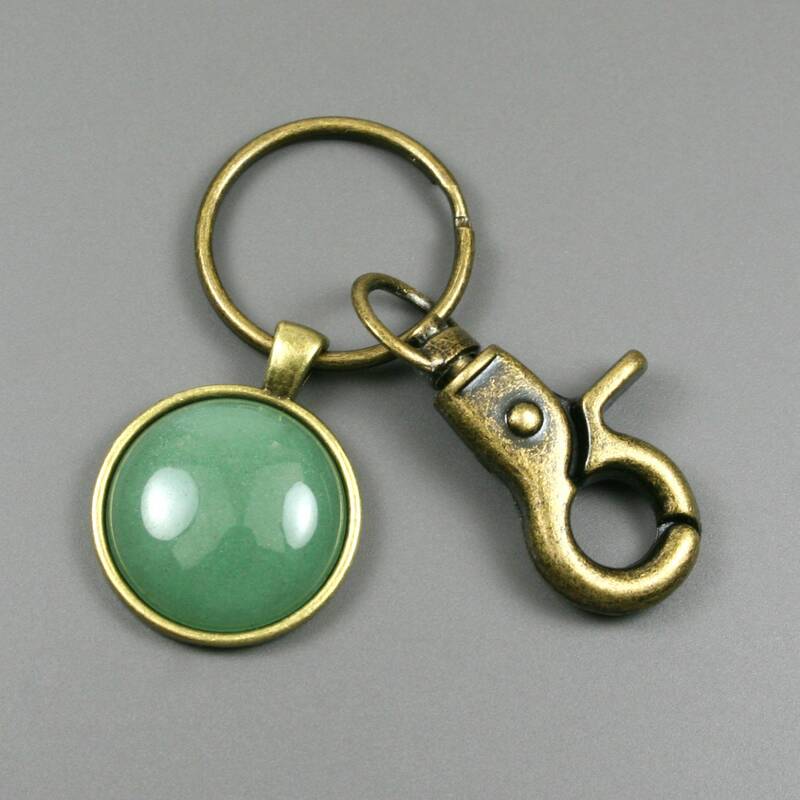 Green aventurine is a natural stone that is medium to light green in color with semi-translucence so the gold repair can be seen through the stone. 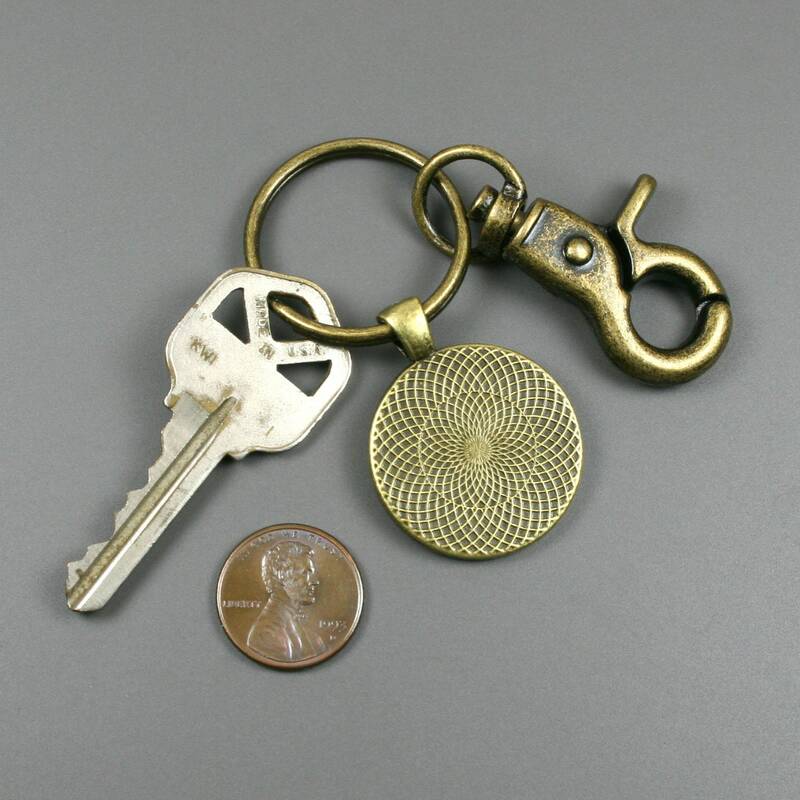 This stone often contains tiny inclusions of mica or other minerals that can create a subtle shimmer. This stone is known for promoting healing, abundance, and growth.